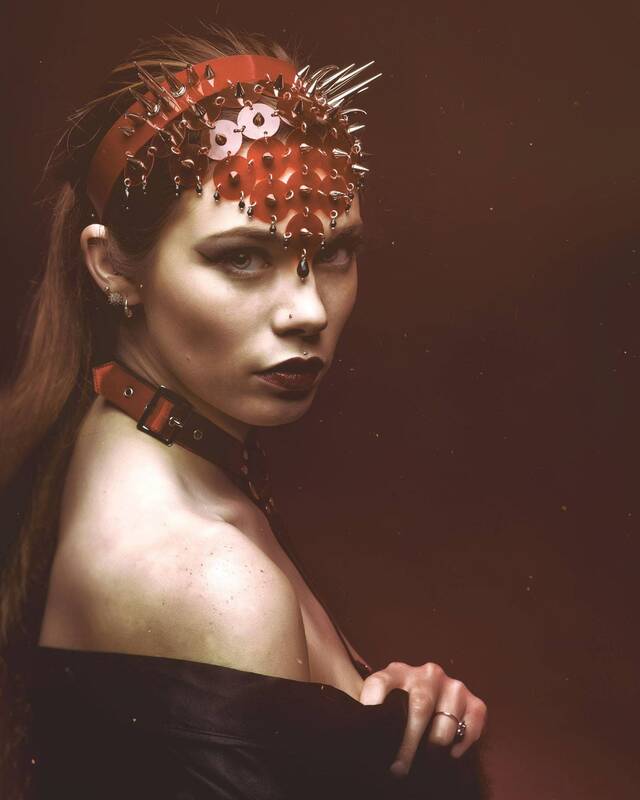 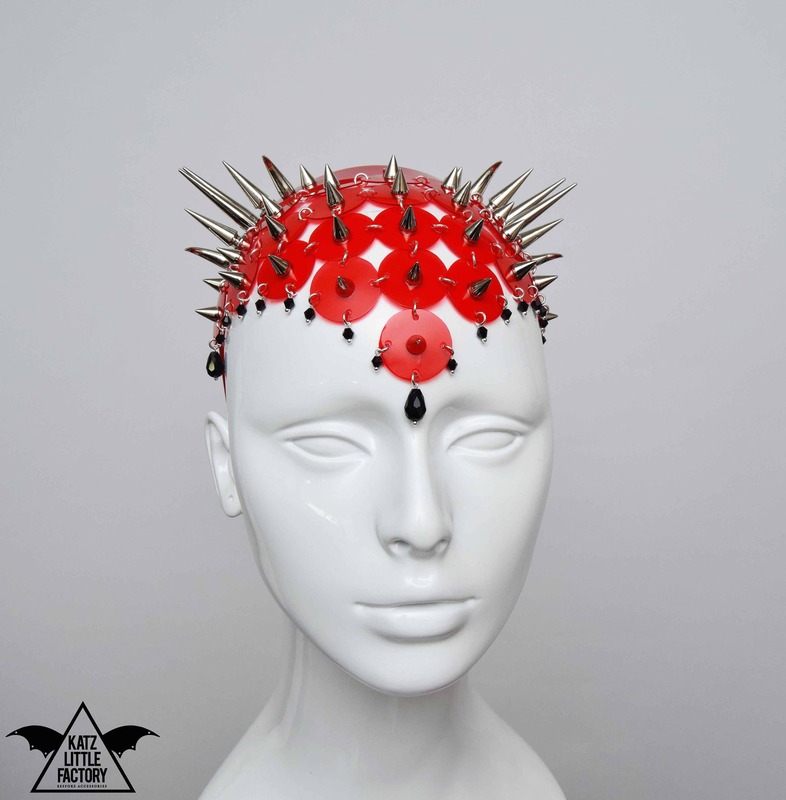 Malina - spike scale headpiece in transparent red PVC. 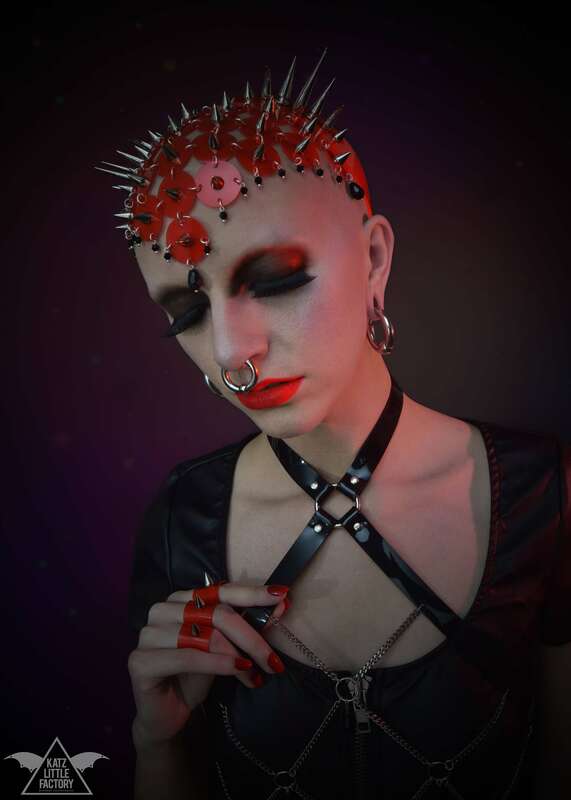 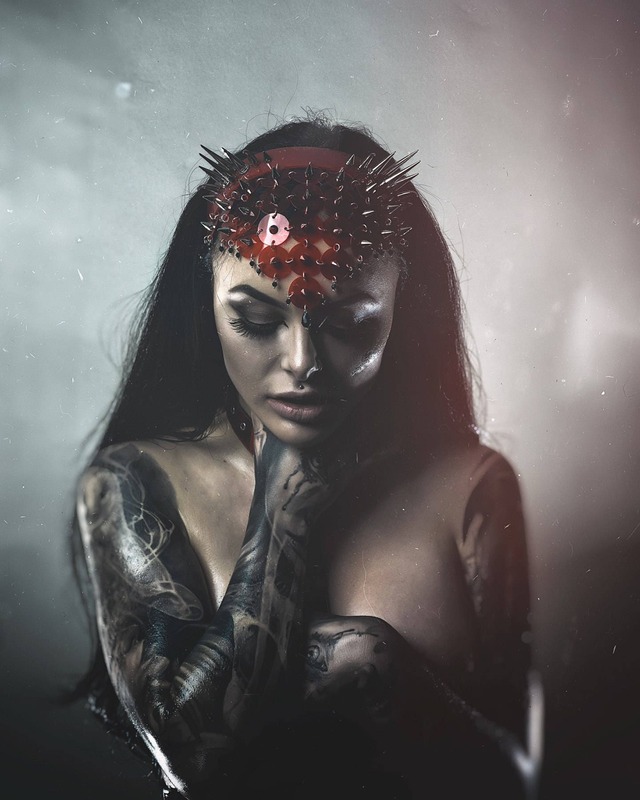 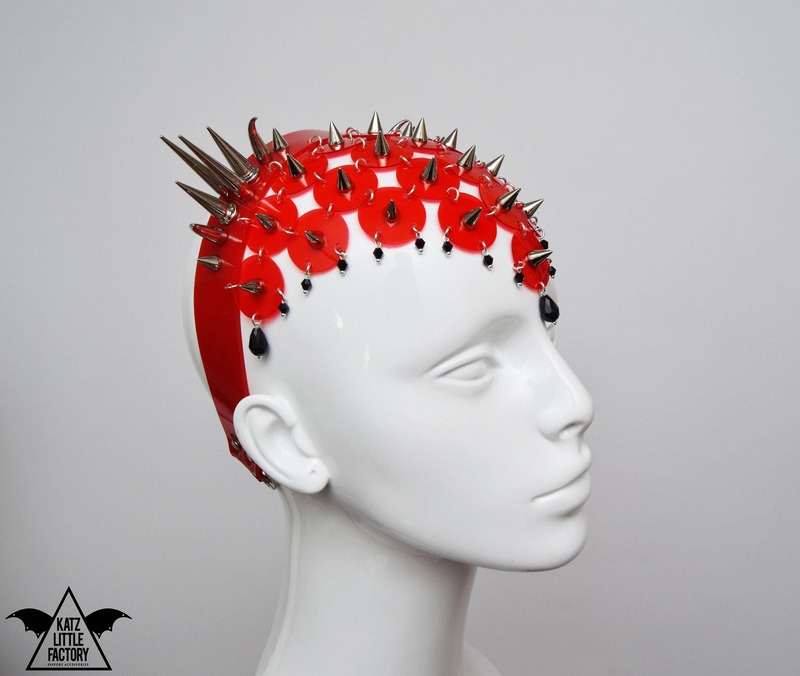 Sturdy red PVC headband decorated with various large spikes, claws and rings - largest spikes are about 50mm. 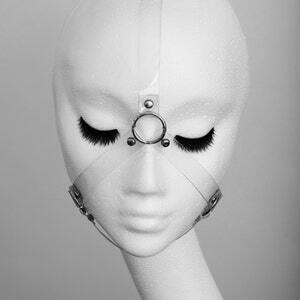 Trimmed with black bicone crystals and teardrops. 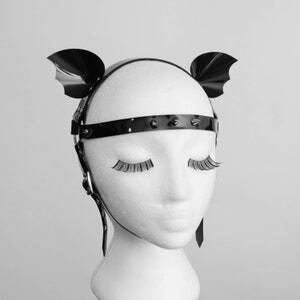 Fastening with adjustable elastic strap under the hair.